A celebration of the diverse musical traditions of the American culture, a sampling of folk, classical, African American, Appalachian, Latino, Salvation Army, Shape Note and Moravian songs. 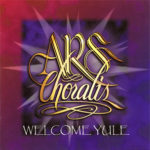 Ars Choralis is joined by the Hudson Valley Youth Chorale for two tracks. On this CD the chorus sings its soul with duo cellists Erica Pickhardt and Abby Newton, guitarist Greg Dinger, pianist Kristen Tuttman, percussionist Karen Levine and soloists Matthew Ulrich, Amy Martin, Jim Ulrich, Leëta Damon and Becky Lowe. The music chosen for this album speaks to the human yearning for harmony and peace. 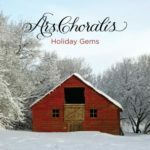 Recorded during Ars Choralis’s 50th anniversary year at Maverick Concert Hall in Woodstock, NY. Barbara Pickhardt conducting and Kristen Tuttman, pianist. A mix of audience and singers’ favorites from past Welcome Yule concerts. With guest artists Erica Pickhardt, cellist; Bob Shaut, saxophone; and Karen Levine, percussion.